Well this is officially it, the last day of the year and what a year it has been. 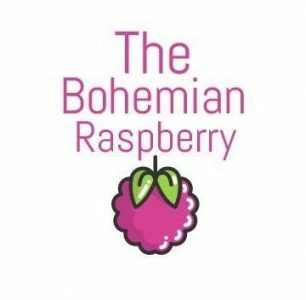 Although, it was slow to get going for The Bohemian Raspberry especially with this blogging lark. I must say, I am actually throughly enjoying it. That is mainly down to you lovely lot for your support and encouragement. I’ve forged some lovely relationships and think it’s fantastic that I get to waffle on about my favourite topic and you’re happy doing the same. So thank you very much, I’m one happy Raspberry! What does 2017 have in store? Well I will continue to study Horticulture at college and look to jump straight into my Level3 in September. I will be volunteering at RHS Harlow Carr in the events department which I’m so excited about and very grateful for this fantastic opportunity and of course I will be sharing and documenting this experience here too. My other fantastic opportunity is working group with The West Yorkshire Organic Group helping with their marketing and media aswell as helping at their annual potato day and harvest show, so I’m very excited about this. And of course there will be lots more to be shared of my growing year both on the Allotment and in the new Cottage Garden, I’m really excited about sharing these as they evolve throughout the year. So I would just like to wish you all a very happy new year and hope that your 2017 is healthy and full of happiness and great opportunities for growth. I thank you for following my journey so far for every blog post you read, every comment you left and every like, retweet or share it truly means the world to me, so thank you ever so much. Right it’s time to pour a big glass of fizz and toast in the new year, I’m so excited I could burst! Next Post Groseeds……….. I think I love you! !